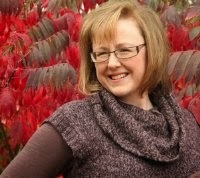 Stacy Green releases SKELETON'S KEY! Her Delta Crossroads Series, set in fictional Roselea, Mississippi, expertly weaves drama and suspense with a fitting dose of dry humor. TIN GOD (Delta Crossroads #1) was runner up for The Kindle Book Review's 2013 Mystery/Thriller and an Amazon summer bestseller. (Delta Crossroads #2), is a worthy follow up, delivering fast-paced suspense and the twisted ending Green is known for. A lover of mystery and suspense, Green's gritty thrillers deliver just the right amount of romance and intrigue. Married to her college sweetheart, she's proud to be a lifelong Midwesterner. 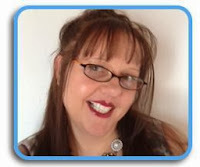 Contact her via her website to be notified of new releases or to just to chat about books! Earlier this year I stumbled across a book with a most beautiful cover. The cover of Stacy Green’s Tin God drew me to the book and her writing was absolutely captivating. Green has a talent for making characters come to life but also describes places and buildings with such depth and detail they come to life for the reader. I wanted to know more about Green and definitely wanted to read more of her books. I added myself to her mailing list and offered to become an early reader for future works. 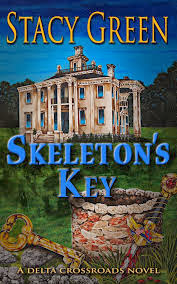 Green is now working toward the release of Skeleton’s Key and I am tickled pink to say that I was one of the first to read it. Because I had been so captivated with Tin God I knew I would either love or hate Skeleton’s Key. Green did not disappoint and I can honestly say I love Skeleton’s Key as much as I loved Tin God. You can read Skeleton’s Key as a standalone story or read Tin God first (both books are part of Green’s Delta Crossroads Series). Skeleton’s Key takes place in the lovely Roselea, Mississippi. This thriller is rich with history and the way Green describes the area and the architecture the reader easily feels as if they have stood on the lovely marble floors of the historic Ironwood Plantation and gazed up the staircase. Green does not bore the reader with details simply to fill the page; the details and descriptions she offers bring the story to life and enhance the reading experience. The handsome and chivalrous Cage Foster is introduced early on in Skeleton’s Key as he braves the stench and cobwebs of the plantation’s cellar. What he would find will shock you and keep you at the edge of your seat waiting to see what happens next. As with any thriller, there is just enough sexual attraction and tension to keep things interesting (after all, we all have a romantic side, right?). Green is a master of the craft when it comes to writing suspense thrillers. The plots move quickly, the characters are unpredictable, and readers will find themselves laughing one moment and tense with anticipation the very next. Skeleton’s Key will be available October 28th 2013 and I recommend adding it to your TBR (to be read) pile – you won’t be disappointed! Crystal, thank you so much for your support and wonderful review. So happy you liked Skeleton's Key as well as Tin God. These are both fabulous books! Congrats on the release, Stacy!